Plans for the new SWLR high school include approximately 400,000 square feet of academic and athletic space, with classrooms upsized for future growth. Plans for the new SWLR high school include approximately 400,000 SF of academic and athletic space, with classrooms upsized for future growth. Visual and performing arts classes and a high-tech auditorium will help students take their creativity to the next level. Plus, the comprehensive athletic facilities will allow the school to host tournaments. In addition, those areas, along with spaces designed specifically for community access, will create a new dynamic, collaborative approach for engaging all stakeholder groups. School Motto: Focusing on the future and teaching and equipping students with 21st century global readiness. The Excel Program provides invaluable opportunities for students by giving them another pipeline to postsecondary education and careers, adding a new level of support for them and the local business community. Students will be exposed to a number of new career strands that will create more pathways to college and workforce readiness. The district created the Excel program, which guides students in aligning their passions and interests to courses and allow them to earn industry certificates and college hours as well as high school graduation credits. Excel courses give students the chance to immerse themselves in particular fields and the opportunity to learn by doing. 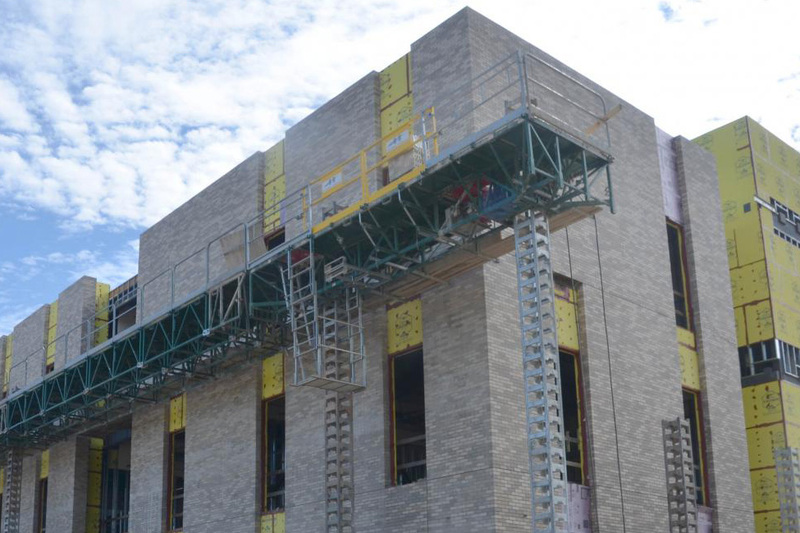 In addition to an advanced 21st century learning environment, the new high school will feature visual and performing arts along with a state-of-the-art auditorium. Comprehensive athletic facilities to support student athletes will include an arena-sized gym, a combined football and soccer field, track and field facilities, baseball and softball fields and tennis courts. The school will be in a district that historically has the most National Merit Semi-finalists in Arkansas. Students receive $20 million-plus in scholarships, annually, to colleges and universities in Arkansas and across the country. The virtual classroom technology will ensure students’ preparedness for real-world opportunities, as well as workforce and college readiness. Simulation labs and makerspaces are designed to provide students with hands-on experience that piques their curiosities and enhances their learning environment. The new campus will combine student populations from JA Fair, McClellan, and 300 Hall High students who reside in the zone.It will be the first LRSD school built in 50-plus years. Featuring large classrooms, shared collaboration spaces, simulation labs, virtual classroom technology and makerspaces, the school will strive to prepare students for the global stage through project-based learning and unique academic approaches.